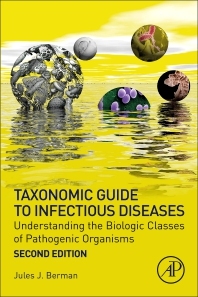 Taxonomic Guide to Infectious Diseases, Second Edition tackles the complexity of clinical microbiology by assigning every infectious organism to one of 40+ taxonomic classes, and providing a description of the defining traits that apply to all the organisms within each class. This edition is an updated, revised, and greatly expanded guide to the classes of organisms that infect humans. Taxonomic Guide to Infectious Diseases provides students and clinicians alike with a simplified way to understand the complex fields of clinical microbiology and parasitology.